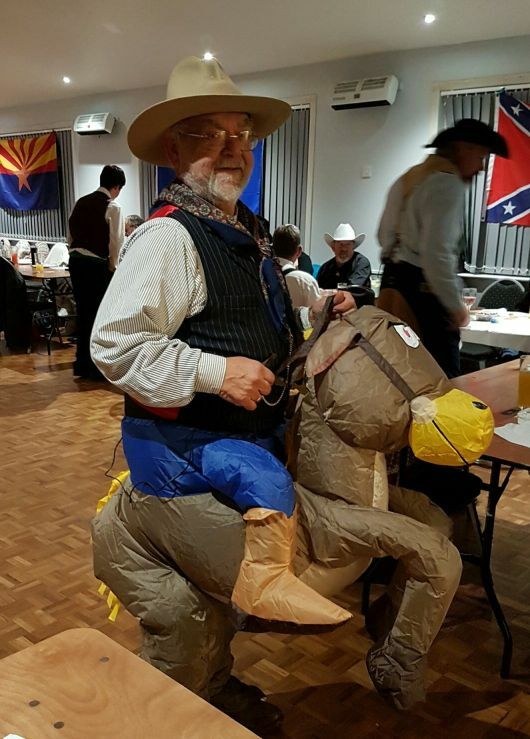 We are a group of western enthusiasts, based in the South West, dedicated to keeping the spirit of the Old West alive. You might have seen us at various steam fairs, vintage rallies, carnivals, and fetes, doing our shoot-out shows and showing how people lived in the west of yesteryear. !!!! NOW TAKING BOOKINGS FOR 2019 !!!! 2018 was a busy year for The Searchers. As well as taking part in steam rally events in Cornwall, we travelled as far as Dorset for our first visit to the Chickerell Steam Fair - a very enjoyable rally. Congratulations to them on winning the Silver award in the Best Tourism Event category for Dorset this year. We also provided some pre-dinner entertainment for party goers at the Cornwall Air Ambulance Summer Ball, with its Western Theme. VISITORS WILL BE INVITED TO HAVE A GO AT VARIOUS OLD WEST PASTIMES, INCLUDING HORSE SHOE PITCHING AND THROWING A SNAKE IN THE BUCKET!! !